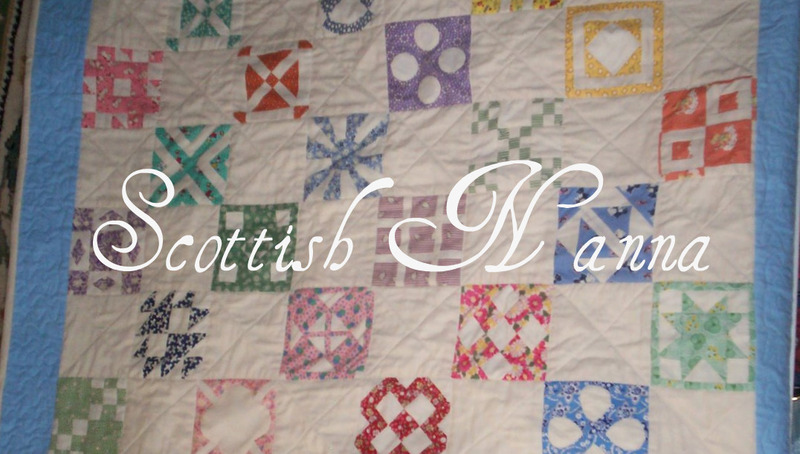 Scottish Nanna: Happy New Year Everyone. I lost my mojo at the end of last year.I had A lot to do with Xmas.and not much time for sewing.I follow Peg's Blog Happy inQuilting And seeing what she does has inspired me to start sewing again, I have A lot of bits of material.so I have decided to do A scrappy quilt.I will call it Mary's Flower garden.Iwill post the first block soon. That sounds like a lovely idea. Will be looking for the first photos, as long as blogger lets you post them. No Bloging For Me .